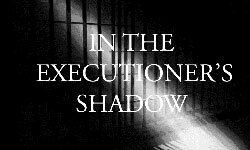 Oregonians for Alternatives to the Death Penalty has joined Equal Justice USA, Amnesty International USA, ACLU, Arkansas Coalition Against the Death Penalty, and other organizations to gather signatures on petitions urging Governor Hutchinson not to proceed with the executions. The petitions will be delivered to him on Friday April 14 in Little Rock. The death penalty is a cruel and inhumane punishment that always violates human rights. What Arkansas is doing now is even more evidence that it needs to be abolished once and for all. Treating prisoner's lives as if they were products with a "use by" date is detestable. Please take one or both of the following actions to tell the governor to stop this rush to executions! 1. Contact Governor Hutchinson Office.